Recently, I noticed that my D-Link router is not performing optimally. Coverage seems poorer at my apartment and the connection speed is not as speedy. 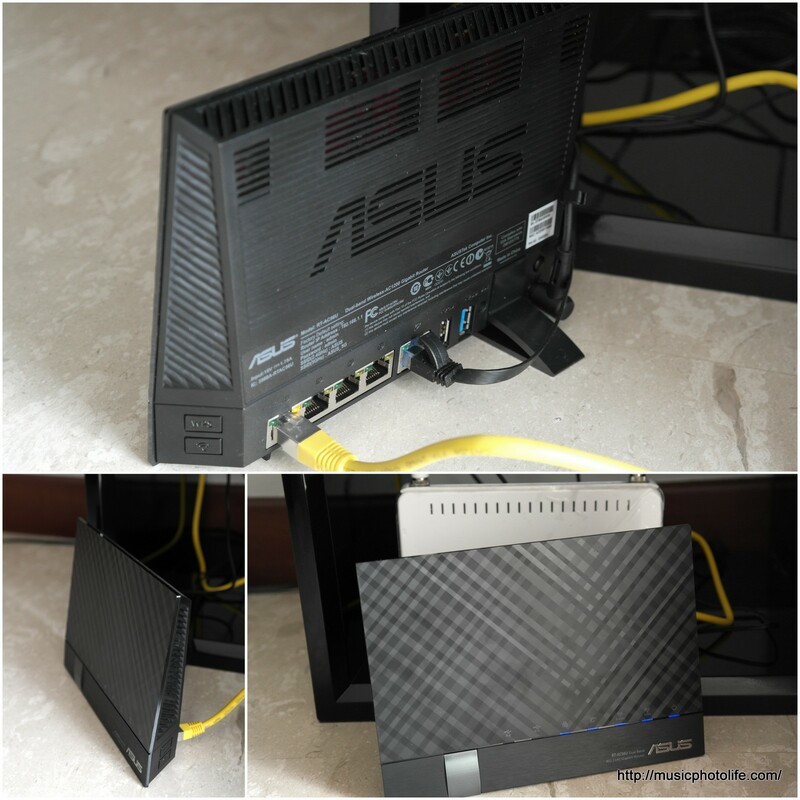 When ASUS launched the new router, RT-AC56U, I decided to request for a review unit to try it out. Speed: the Wi-Fi speed is really blazing. My jaw dropped when I saw the speedtest result: I achieved full throttle of 150Mbps (with my StarHub 150Mbps fibre plan) when testing next to the router. Note, however, that the performance is dependent on your wireless device. Also, speed drops to the usual Wi-Fi speed when faced with physical obstacles. User-friendly GUI: the router admin portal is user-friendly and graphical, allowing ease of navigation and configuration of your networking settings. USB Applications: the router works also as a media server, printer server, download server, supports mobile network connection. Just plug an external harddisk on one of the USB ports and with a few configuration on the access management and you are ready to go. I am impressed at how easy it is to get it working. No longer do you need to purchase a dedicated network access storage (NAS) server. Download Master: It allows you to download files without turning on the computer. Download Master is integrated with Bit Torrent, NZB, aMule. Just add the download URL to the task list and the app will do the rest. Media Server: I know through experience that home networking is not a walk in the park. That’s why I am surprised that I can set up the router to work as a media server so effortlessly. The router disk appears as one of the network locations available for access on my Windows Media Player. ASUS Cloud Applications: If you don’t trust the public cloud servers like Dropbox or Skydrive, you can use the router as a cloud server to access and manage content on-the-move. Parental Control: You can specify the device (using MAC Address) to restrict the network usage. Configuration is easy by clicking on the schedule table by hour blocks. Once configured, the router will deny usage outside the defined hour blocks. This will control usage on the devices during times when you have no control over the device possession, for instance, when your child is at home while you are at the office. Coverage: One of the key features, AiRadar, is touted to optimise signal strength. But who am I to kid when my apartment has walls and doors to block the signals. What I could say was that while I find the signal strength is indeed better than my current N-router, it is not that magical. I still lose signal in my master bedroom toilet – the farthest point in my apartment with the most obstacles. I would buy the ASUS RT-AC56U because I can get NAS feature and it delivers high speed when your wireless device has a direct line-of-sight. With the list of tangible features, it is reasonably priced at S$279 (RRP). However, I would not count on it to magically boost my home network coverage. So consumers looking for a router to ensure increase coverage should look elsewhere for a fail-proof solution, for instance, getting wireless extender.